Bong Joon-Ho came to the world’s attention with his wonderful 2007 monster movie The Host. 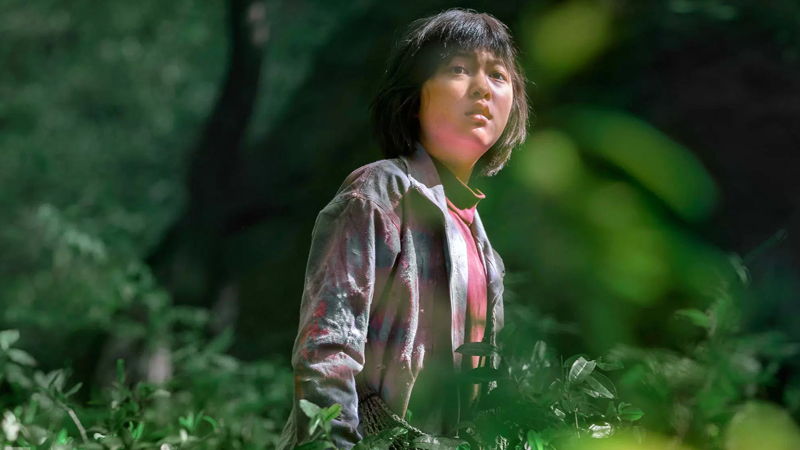 The director has followed up his hit adaptation of Snowpiercer with a return to the genre in Okja, but it sounds like it’s going to be quite a different take on the monster film. Entertainment Weekly has got new pictures and storyboards from Okja, which focuses on the story of Mija, played by Ahn Seo-hyun—a young Korean girl trying to keep her best friend, the titular monster (described as “a very shy and introverted animal” by the director), away from the prying eyes of a sinister corporation that wants to capture it. Red is part of a group of animal rights activists that figure into the story. On Wall Street, it’s the heart of capitalism. On the surface is a story about an animal, but it’s essentially a story about capitalism. Turns out, the real monster was inside of us all along! Okja, produced by Netflix, is set to debut with a limited theater release sometime in 2017.